trapped inside in a minivan. providing for his kids and wife. because my friend, it’s all he’s got. Here’s a comic about Dad having “the talk” with junior. Here’s a comic about Dad teaching us some table manners. And here’s my entire parenting archive. 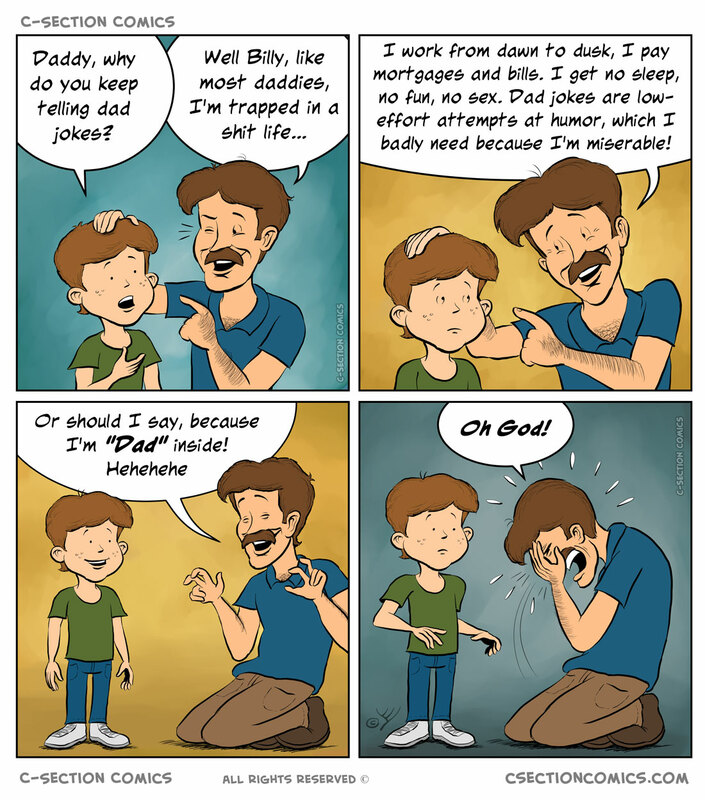 UPDATE: This comic reached reddit’s front page, generating interesting conversation about parenthood, frustration, and hope. 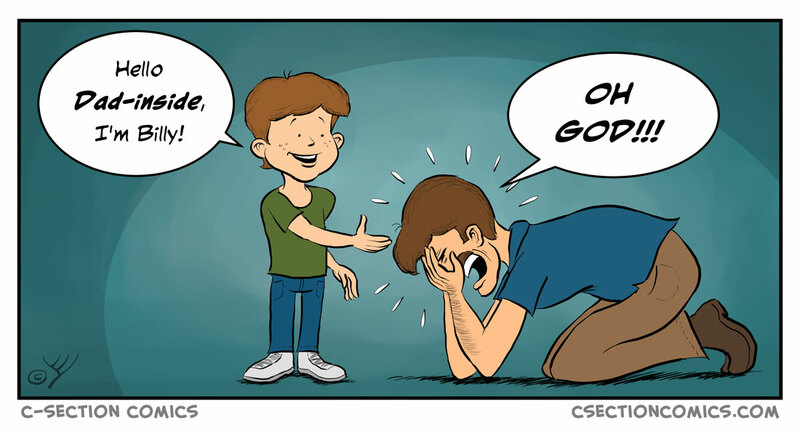 UPDATE 2: Some of you may know that if you hover over the main comic image, you may get an extra joke (try it now). Someone on reddit took the pun in the comic’s hover text seriously and printed this comic on paper to prove that it’s indeed “tearable”… Thanks, /u/coldstar ! People who feel like this, I suggest looking up MrMoneyMustache and getting some basic personal finance and consumerism management advice. The general idea is as this dad found out, that more things (a big house, a minivan) don’t make you happy in the long term, and the less things you need, the more time and freedom you have, the less you depend on your job to survive (or the more freedom you have in finding a better job), and the happier you’ll be. The bonus panel made me laugh out loud!